This week we are featuring a revered mentor who’s been with his team since their inception, Glenn Lee. He’s led his team to become a Hall of Fame team, IRI champions, and winners of many regional competitions. There isn't an FRC team out there who doesn't recognize the Hawaiian Kids in their signature flower patterned shirts. 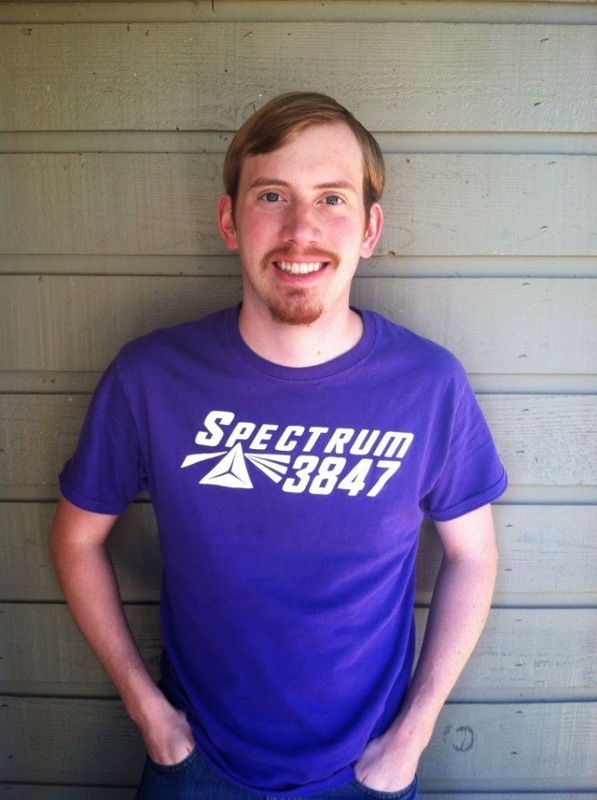 He helps the robotics community, by holding grant writing workshops to help teams fund their programs. He also raises thousands of dollars for his team every year, so that his team can travel to regionals. Recently, he had an appearance on Behind the Lines, which is a new show from the makers of GameSense and FIRST. CD Username: waialua359 (formerly a student’s account which I took over during the 2005 season). Current Gig/Job: Waialua High & Intermediate School STEM Learning Center Coordinator, Career-Technical Education (CTE) Coordinator, Robotics and Design Technology Instructor. Alma Mater/Degree: Leilehua High School, University of Hawaii @ Manoa B.S. in Electrical Engineering, Minor in Math, Master’s in Business Administration. Current Team(s): Team 359-The Hawaiian Kids since inception in 1999. Hobbies: Hiking, Bike Riding, Golf, Collecting Memorabilia, Traveling, Fantasy Sports, Old School Toyota Cruises and Family Time. Team 254 just finished their rookie season in 1999. 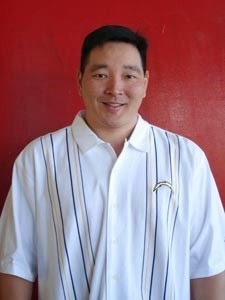 Mark Leon, a member of the Cheesy Poofs with NASA Ames, had ties with Art Kimura, a STEM leader in Hawaii. Mark and Art arranged for members of the Poofs from Broadway HS to come and showcase their robot and explain what FIRST was all about. Jason Morella of the REC Foundation, was the lead teacher of the Poofs at the time. From my understanding, they approached both us and Team 368 because of our involvement and successes with racing Electric Vehicles since 1996. I can still recollect my first impression of what I saw when I stepped into the library where the demo took place. I was totally amazed, excited, and reluctant all at the same time. I never could have imagined that over 15+ years later, I am still heavily involved. I worked briefly as an intern Electrical Engineer at Hawaiian Electric Company and the State of Hawaii as a Quality Control Engineer. I quit both jobs to pursue a career in Education as a Science/Math teacher at Waialua High & Intermediate School in 1994. 2010 was one of the worst build seasons our team ever had. Our robot didn’t work very well when it was time to pack and ship our robot to our Week 1 Event. After shipping our robot, it gave us very little time to prepare for both a Week 1: San Diego and Week 2: Arizona events in the Mainland. When we arrived in San Diego, one of our students realized he forgot the driver station laptop at home in Hawaii! Luckily we were able to get it as a check in luggage the next day because we knew someone from Hawaiian Airlines. Of all the FRC events we ever attended, this was the only event where we didn’t get inspected on the practice day because our robot had too many issues and because we had to pick up our driver station at the airport that day. Ironically, we went on to have the best season ever winning 3 FRC regional events and IRI that year. Our robot during the entire season still could not kick a soccer ball nor could it climb a pole for the end game points consistently. Better to be lucky sometimes than good! Definitely Poi Pounder XV this 2014 Season. Our new equipment, a Flow Waterjet, did most of the work. J It was easily the least amount of construction our team had to ever do during build season. What apps/software/tools can't you live without? (Work/Robotics/Home) IPhone and IPad. 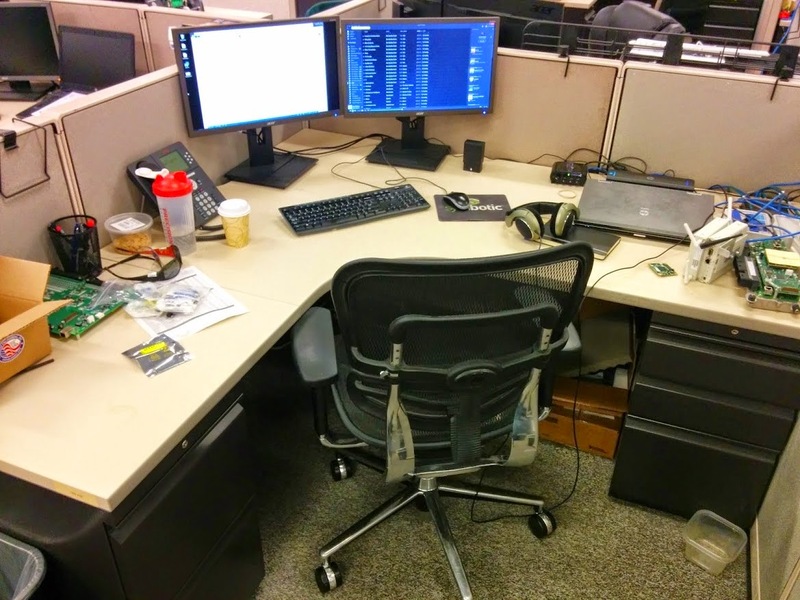 What's your workspace setup like? (Work/Robotics/Home) *see pics. I’m a total 80’s music fan listening to both Soft Pop and Hard Rock during that era. What’s your schedule like during build season? I used to spend the most hours at school during build season 7 days a week, till almost midnight. With a family now and our program with much better facilities, equipment and mentor support, we normally work no later than 8-9pm on most days with a few Sundays off. I enjoy Grant Writing and raising money for our Robotics Program. Over the years, I’ve spent countless hours learning how to best utilize our limited resources in acquiring more of it, so that our students have ample opportunities to experience STEM via Robotics Competitions. Spending money on useless things. I’m a sucker for items on Craigslist, Ebay and Amazon. Fill in the blank. I'd love to see Paul Copioli answer these same questions. I’ve worked part-time at the Honolulu Country Club as a Banquet Waiter the past 25 years. Short post this week. We are working on the new lab and haven't had time to get much done. Now that the most important stuff is finished, on to the rest of the post. Literally nothing to talk about, registration went just about perfectly. If you haven't noticed the Dallas Regional is STACKEDDDD this year, 118, 148, 624, 987, 1477, 2468, 2848, 3310, and we probably missed some . We sadly won't be participating but we'll be cheering on a whole lot of our friends, it's going to be some intense eliminations matches. Full Registration CD thread can be found here. 2nd Event Registration opens Oct 23rd. We're planning to register for Arkansas as our 2nd event, we are already registered for Bayou. The roboRIO Expansion port rules were cleared up a bit this week. Read the blog post for all the details. 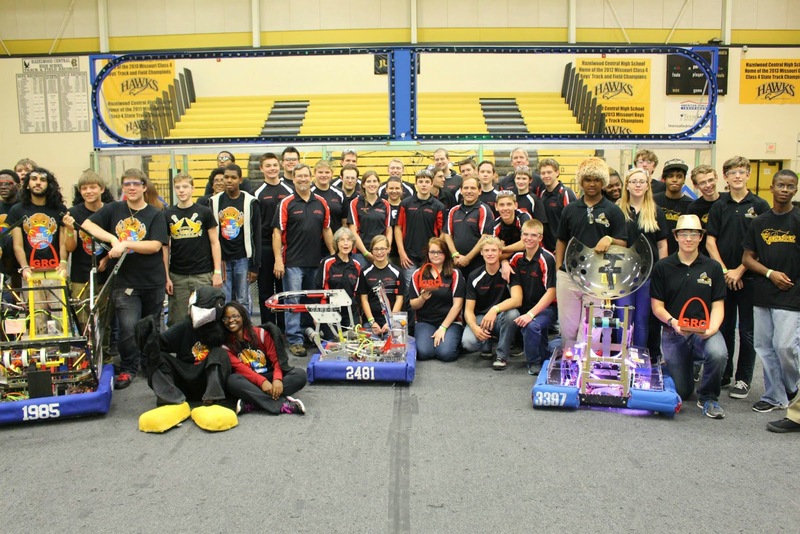 The Fall Classic, IROC and RoboFest were this past weekend. Full results for the Fall Classic are up on TBA. Congrats to 3476, 330 and 3476B on taking home the hardware. Most of the regional dates are now official and FRC Registration opens on Thursday (Sep 26). Other event that Texas teams are likely to attend. 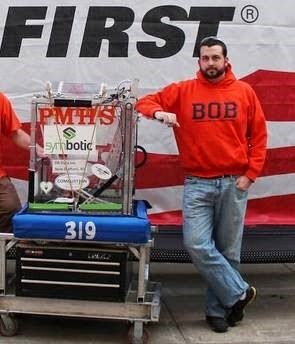 With Behind the Lines at 7pm CT, and Simbot Seminar Series at 8pm CT, Wednesday nights are now officially FRC Nights. The big announcement out of headquarter's last week was Inter-District Play will be in for the 2015 season. This only affects the District teams but this is a move in the right direction. There were 6 off-season events around the country but not much in the way of videos or results have been posted. Of the 6 only the Capital City Classic has results on TBA. Congratulations to the winning alliance of FRC#1678, FRC#2122, & a pre-rookie team 9073. If you haven't checked out the Robowranglers prototype drive train document, it's worth a read. JVN and team have been documenting their entire design process and it's extremely insightful. You can read the full document here. They're currently integrating the Beta test hardware into their design. The Simbots are an amazing team. So amazing in fact that they are going to teach everyone else how to be amazing. Karthik Kanagasabapathy and several other Simbotics mentors will be hosting Seminars each week on various FRC topics. This is absolutely huge for the community. Karthik's strategy talk has been standing room only nearly every time he has given it at FRC Championship. The seminars start October 1st and will last through the fall. Check out this CD thread for all the details. If you just can't wait till the 1st, how about (re)watching Karthik's Effective Strategy talk from Championship 2013. The inaugural GRC was this past weekend at Hazelwood Central High School in St. Louis, MO. Here is the full thread about the event. Congratulations to the event champions FRC#2481, FRC#1985 (the host team), and FRC#3397. The finalist were Team Titanium FRC#1986, FRC#4256, & a pre-rookie team. We haven't been able to find any video of the event but check out the rest of the photos posted by the Roboteers. If you're interested in the safety animation, make sure you submissions are in by December 11th. Another reminder that both you main and alternate contacts have to pass Youth Protection Training before you will be able to register for events. There has been a bit of discussion about how to broadcast FRC events recently. Frank talked about it in his Frank Answers Friday piece. A huge amount of praise was given to the Chezy Champs and Game Sense crews for their terrific broadcast of their event this weekend. We wanted to look at some of the recordings from various streams so people have an idea of the various ways groups are streaming events. Here is how FIRST broadcasted the 2014 Einstein Finals. Here is a simple GoPro Recording of MSC Finals 1. This is how many of the Michigan districts are streamed. This setup was pinorred and often setup by The EngiNERDs. This clip is from IRI 2014. This year the crew from the PNW District did the broadcast for the event. Notice the use of multiple cameras during the match. Another awesome group doing live streaming of events is team 1678 The Citrus Circuits. In the video below you can see their full field coverage plus custom video overlay for match scores and teams. We use a system inspired by The EngiNERDs but add in the score overlay directly from the FMS. This is a very inexpensive system. Total cost is under $500 plus a laptop to run it on. For more information on our setup see our draft version of a white paper on the subject. We're sure there are probably more examples of teams and events doing high quality streams of FRC events but these are all we can think of right now. We love what Chezy Champs was able to do with their stream but that may not be possible for every event. However it should be possible to get HD recordings of every FRC match. The budget requirement isn't that great and the volunteer support required is minimal. Hopefully this will be useful to groups looking at adding a live stream to their events. Teams have even streamed events from the stands with a web camera and a cellular hot spot.